Addressing attendees on day two of the Scaling Bitcoin conference at Stanford University, Joi Ito, director of MIT’s Media Lab, gave an impassioned talk about complex systems that sought to encourage thinking on the larger, societal impacts bitcoin could have, one that pushed back that these motivations should be purely economic. Extending this criticism, Ito took aim at ICOs, or sales in which newly created cryptocurrencies are offered to buyers as a way to bootstrap open-source protocols, going so far as to state that those who engage in the practice are stealing money from an under-educated public. In contrast, Ito framed the “whole point” of cryptocurrency as being about using technology to prevent the societal ills he believes have resulted from economies defined by government-issued currencies and the financial institutions necessary for their use. Ito framed the issues he sees in the sector as chronic – going so far as to draw comparisons to the dot-com bubble in terms of what the repercussions could be for cryptocurrency projects like bitcoin, whose community has largely frowned upon the practice. “I don’t want to be involved in a company in an ICO, because we’re in a period of history, it’s attracting all the wrong people. 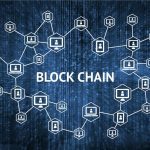 Even if you were to execute a perfect ICO, I think it would still attract the wrong people,” Ito said. Still, he expressed his optimism the resulting fallout would force out bad actors, thereby allowing remaining bitcoin builders to better collaborate and build for the future. In particular, Ito espoused the idea that cryptocurrencies should think more about their intent than their value, with one of his examples focusing positively on the insular economies of online role-playing games as an example of how restrictions can heighten an asset’s worth. “Does making money make us happier? We have this really stupid one currency that causes us to be greedy and I think we want to think of ways to break that model,” he continued. Elsewhere, Ito discussed the history of the internet and the formation of its various protocols, as well as the conditions under which they were allowed to flourish. Ito went on to frame large companies such as Cisco and AOL as ones that eventually developed by building on top of networks that were formed by communities that, in his view, weren’t motivated by profit. However, at the same time, he was keen to point out that these networks developed substantial business value, eventually challenging even successful siloed business models. Here, Ito compared San Francisco startup Coinbase to AOL and R3 to Mintel, drawing an example of how successful blockchain companies today have to provide a full stack of services that might one day be served by open networks. Still, Ito framed bitcoin as perhaps the open blockchain network best positioned for success in eating away at these layers underneath, even as he called the market “pre-TCP/IP” in describing where he believes development is in relation to the internet. 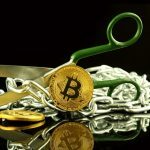 Notably, his comments also gave a voice of support to the technical community around bitcoin, one that has often been attacked by businesses as short-sighted for its conservative design approach.